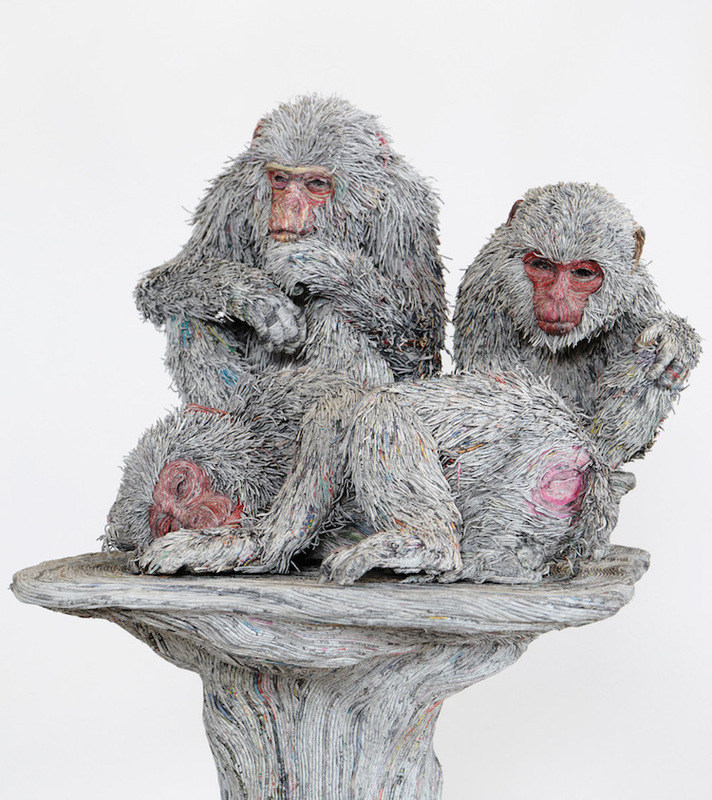 Using nothing but everyday newspaper, artist exquisitely detailed sculptures of the animal kingdom. 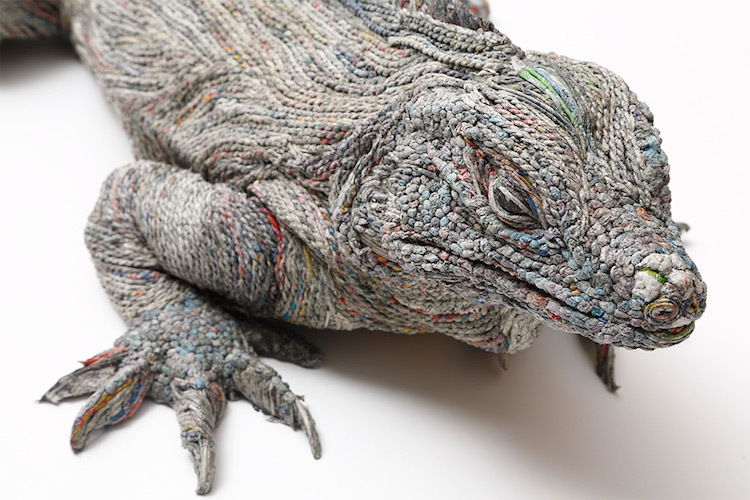 Using nothing but everyday newspaper, expert paper artist Chie Hitotsuyama crafts realistic, exquisitely detailed sculptures of the animal kingdom. 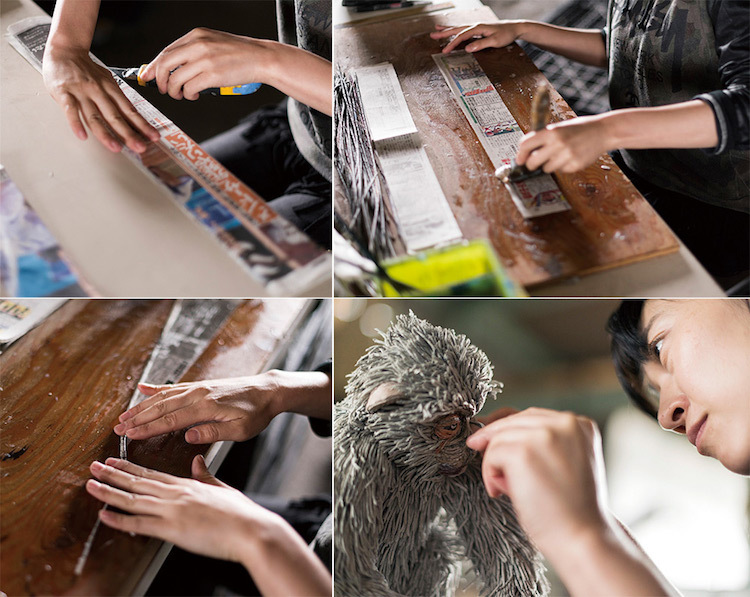 To create each creature, Hitotsuyama skillfully binds rolled and twisted pieces of wet newspaper to each other. 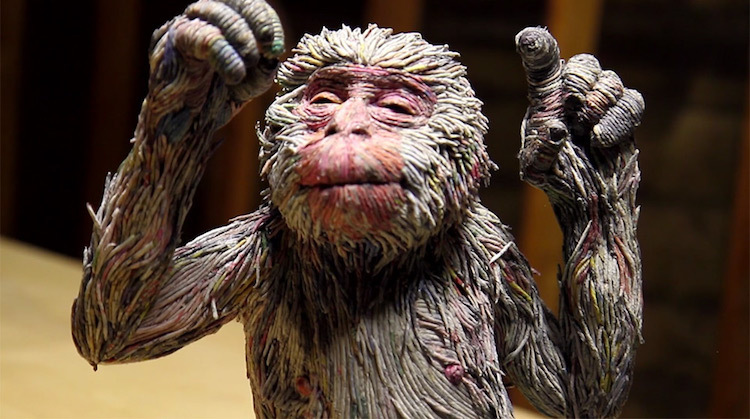 By varying the thickness and contours of the paper, she is able to precisely produce any figure she desires—from an animated little monkey to a resting rhinoceros. 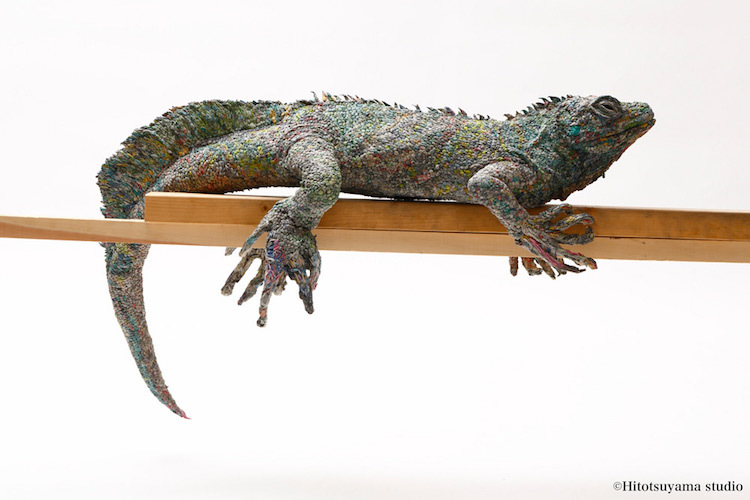 She even utilizes the colored print on newspapers to create impressive gradations. 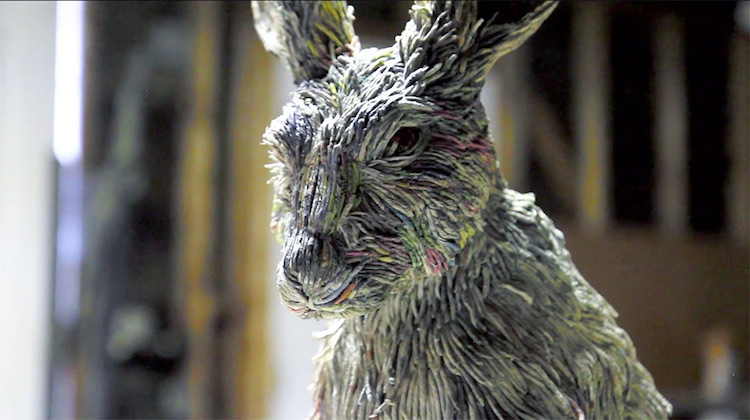 The process is completed entirely by hand, and requires a tremendous amount of paper prowess. 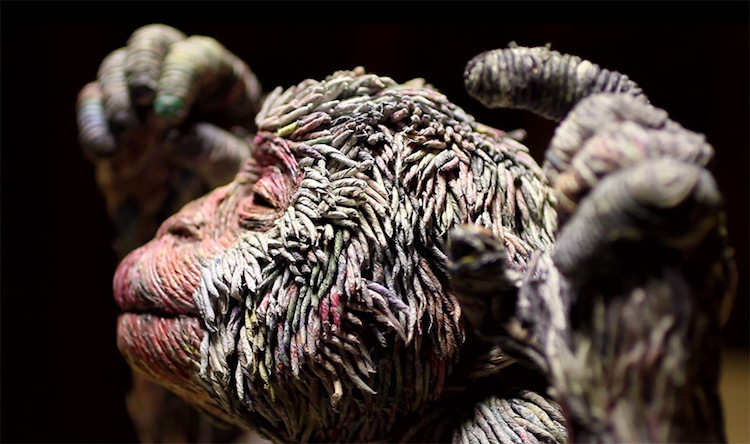 Scroll down to watch Paper Trails, a short documentary of Hitotsuyama’s work, presenting an up-close and personal study of her striking sculptures. 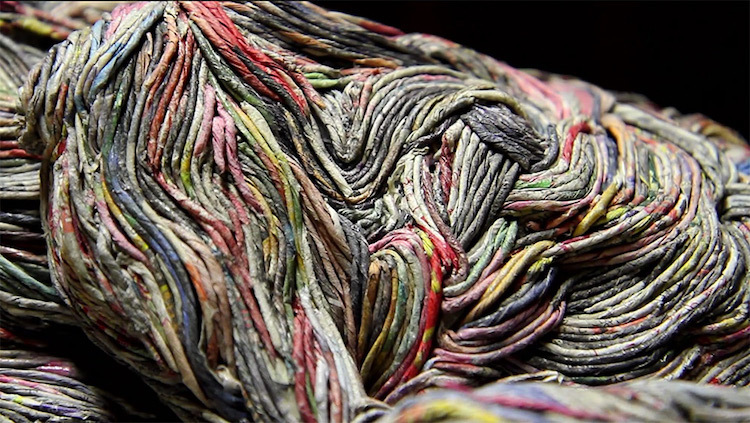 All images via Chie; Hitotsuyama.